The theory of the “paperless office” revolves around the idea of creating a working environment that uses very little or no physical paper to maintain and store information. While the paperless office has experienced popular acceptance in recent years, the idea of the paperless office began earlier than many realise. In 1999, Info-Organiser launched document management software in Australian where the paper-free office was nothing more than a buzz word. Many believed it was a utopian idea rather than a innovation that provided businesses with the ability to save money and space, achieve easy compliance, plus make information secure and easy to access. The late 20th century saw companies bringing computers into their daily workspaces. With the development of this technology came the manufacturing of printers. The two combined made a reliable and convenient source for businesses to create their documents and print their information for storage. Problems that arose from over-printing were environmental impacts and heavy costs that the excessive use of paper caused, and a large amount of space paper-based filing was taking up in offices, leading to an increase in storage and rent expense. Soon software developers had developed paperless and electronic filing products. Software development saw a surge in digital document management and many jumped on board before they got left behind. However, there were still many confusing elements that businesses were struggling to adapt to such as new terminology. People struggled to distinguish between eFiling software that would help them store documents digitally and online tax e-filing systems. Info-Organiser remained undeterred and persevered with the goal to provide clients with safe, reliable and efficient digital document management. Despite the confusion that came at the beginning of the document management era, the theory behind it remained strong. It seemed that these processes would be ones that continued to grow and gain support. As such, the Australian Taxation Office (ATO) affirmed its support of digital filing in 2002. They implemented a series of Tax Rulings that would act as a guideline for electronic record keeping, the latest being TR2018-002. Australian guidelines for digital filing began to develop before the ATO’s outward support of the movement. In 1995 the Public Records Office of Victoria introduced the Victorian Electronic Records Standard (VERS) to ensure compliant products were being created that would protect your businesses documents. Info-Organiser is VERS accredited and provides ample support to ensure storage of your electronic records meets the appropriate standards. With this renewed sense of government support, a new term emerged and Electronic Record Management became the next big thing in paperless business. Software enhancements developed to include enterprise content management (ECM), included new features to import information, as well as adding a timeline for each item of content uploaded. These changes increased the simplicity of digital organisation and made the content easier to retrieve when necessary. ECM covers document management and includes records management, workflow management, web content management, and much more. The rapid evolution of the internet and cloud solutions for file sharing, such as Dropbox and Google Drive, saw people and businesses beginning to embrace cloud storage and document sharing as a normal day-to-day practise. 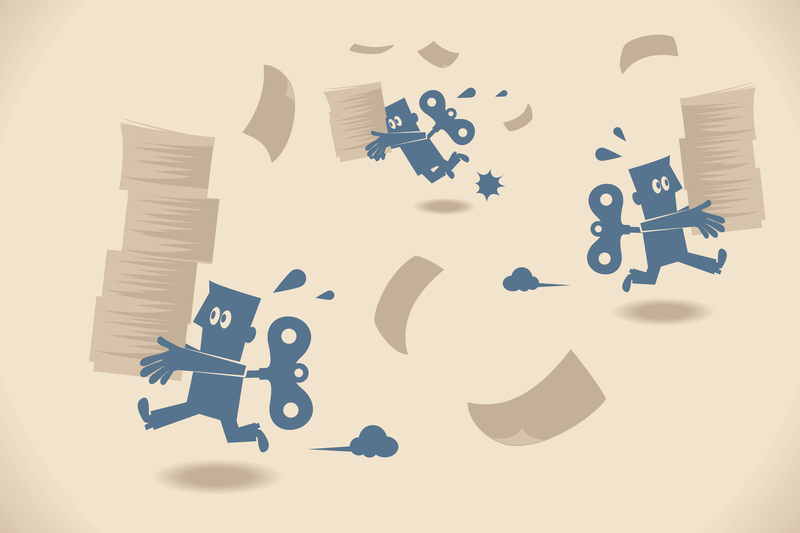 Info-Organiser takes business document sharing to the next level. The software will store emails, client files, accounts information, HR records, etc in one central and secure portal. You can easily scan and upload physical papers as well as digital information into Info-Organiser where it keyword tagged and stored. With no maximum capacity, you can keep all your digital documents for years find a file at any time with one easy search. All staff in the company can easily access data whenever they need it with a filtered search, to ensure they no longer have to sift through massive amounts of unrelated documents. The need to chase co-workers for access to information or hard-copy paperwork that has been stored in a box somewhere is completely negated. WIth all the progressions that have been made in paperless systems, the overall message remains that digital document management is crucial to the success of a modern office. Paperless systems benefit the environment, help companies save money, free up space and create a more secure environment for your vital information. History can show us where we have been and inspire action towards a ever-improving future. Whether you think of it as digital filing or document management, all businesses can benefit from Info-Organiser and embrace the reality of a paperless office. While many companies are still to make the transition to a paperless environment, Info-Organiser have 20 years of expertise to support Australian businesses to make the change for better business.